The Peoples Democratic Party has declared that it will continue to demand for the removal of the Acting Chairman of the Independent National Electoral Commission, Mrs. Amina Zakari. It said this was the position taken by the party at the meeting of members of the National Working Committee, despite what it described as unwarranted attacks on its officials by the Presidency. Speaking after a closed door meeting in Abuja at the party’s headquarters, the party said it was privy to the fact that Zakari, who it claimed has a strong relationship with President Muhammadu Buhari and a very prominent APC North-West governor, is allegedly collaborating with the ruling party to post Resident Electoral Commissioners of its choice to Kogi and Bayelsa States ahead of the forthcoming governorship elections in those states. The PDP raised the alarm of alleged moves to use the period of Zakari’s stay as head of the commission to allegedly tinker with electoral personnel and materials for the two states in favour of the ruling party APC. President of our dear country." He added that even where the party conceded to the argument that the President has the powers to appoint any person he deems fit as the INEC Chairman, he said such powers must take into cognizance the sensitivity of the position involved. 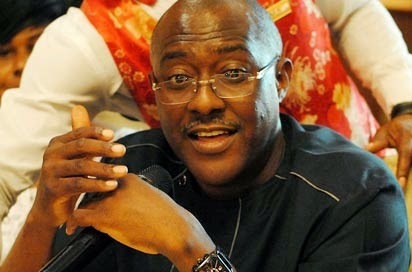 Otherwise, Metuh said the President can as well appoint his wife or brother as the electoral umpire on an argument of merit. He stressed that as long as the acting chairman remains in office, it would not recognise the electoral body as the being independent.